Pauline has been in the Hair Industry for just over 30 years. She has seen, heard, and experienced the many challenges that can come along being in the hair industry. She always had a passion for creativity and sharing with others on what it takes to become successful in the industry. Pauline began working behind the chair at 18 years of age. Pauline new being a hair stylist was her calling at a young age, as she always played with hair and many of her friends let her cut, color and perm their hair. Even though at the time, she had no idea what the proper methods were, until she went to Cosmetology school. Pauline has worked many aspects of the Hair Industry through the years. From behind the chair, as a Stylist, colorist, educator, Brand Manager, Operations Director for a seven-figure salon and spa. After her divorce in 2003, Pauline decided that she wanted to move to Southern California, a dream she had wanted since she was 18. After being in the hair industry for twenty years. Pauline up and moved 3000 miles, to Newport Beach, California, where she began her life and career all over. She learned how to market, network and build a clientele quickly, learning that California has many independent stylists. She wanted to be one of the successful ones. Pauline worked many aspects of the industry while she was there. She worked in a professional men’s salon where she mastered the skills of cutting and coloring men’s hair. Salon Development Adviser for Salon Owners and Hairstylists. 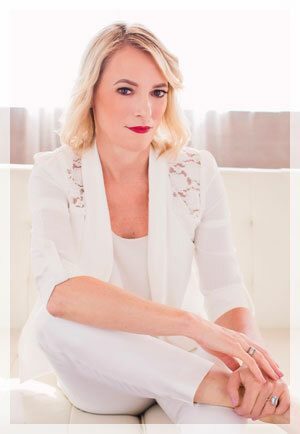 She was sought out by salon owners to work with them to develop a successful salon business. Became a Brand Manager for a US distributor where she traveled all over California, working with many salon’s and their hairstylists. Hearing the many challenges, they were all experiencing, it began her journey on where she was going to take her passion for the industry and begin to change it for the better. Pauline has had to rebuild her clientele three times in her career, because of big moves. One moving to the West Coast, then Back to the East Coast, and then becoming an independent hairstylist. She understands what it takes to become a six figure Hair stylist. What it takes as a salon owner to create a positive culture in your salon, retaining not only hairstylists, but also clients. To bring a salon business to their utmost success. Pauline became a Certified Life Coach, during her career behind the chair. The skill of coaching not only helped her communicate better to her hair clients, and co-workers. Taking all her experience that she kindly shared with many others through the years, such as salon owners, hairstylists, to work with them to become successful. Pauline’s journey has taken both her experience in the hair industry and her coaching skills and combining them together has created her new path to becoming a Salon Development Adviser to work with salon owners and hairstylists in bringing them to their utmost success. If you are ready to begin your journey on being successful in the hair industry, click here to receive my free worksheet on growing your business.